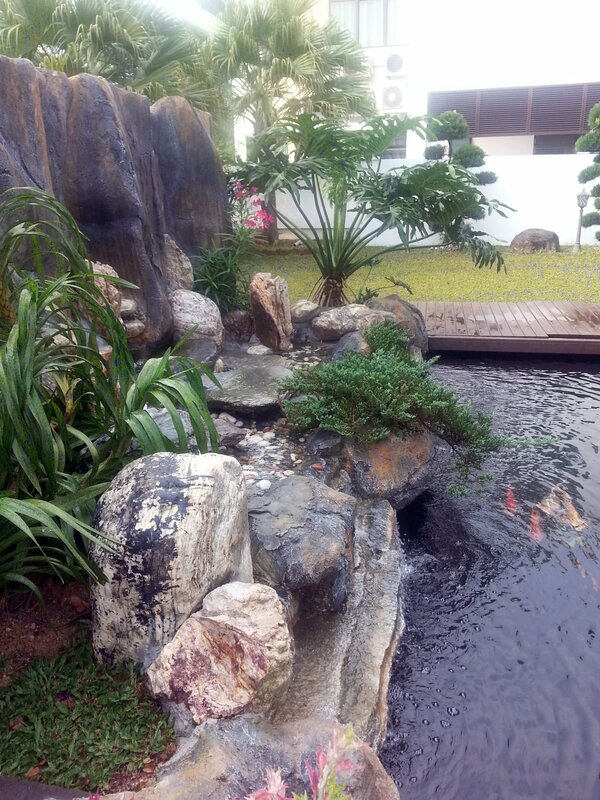 This pond orginally was with a tiled featured wall with downlights. It had a smaller rectanglar pond that was previiously built and not really in use. man-made wall to blend into and make it a more natural setting.